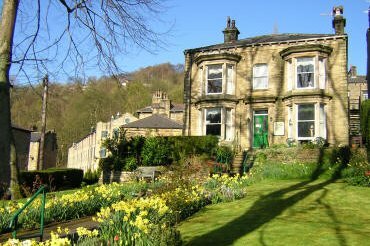 A traditional Pennine Guest House in a quiet conservation area - only a two minute easy level walk from Hebden Bridge centre. 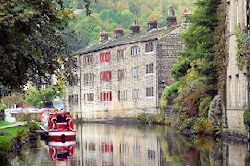 A grade II listed weavers’ cottage overlooking the canal in the centre of Hebden Bridge, with two rooms. 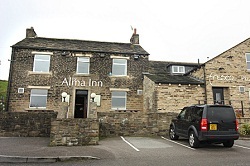 Pennine views, five comfortable rooms and good food. At the end of the Halifax Arm, with trail leading up into Halifax. The Watermill Brewers Fayre pub and restaurant. Country gastro inn with luxury accommodation. 18 en-suite rooms, in pub and annexe. Don't be confused by other pubs of the same name, further away from the canal. 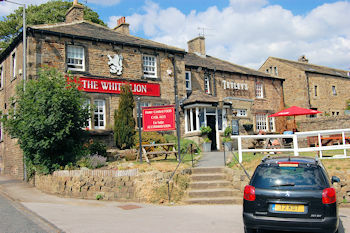 A country pub with small cosy bars, stone floors, real ale, good food and six rooms. 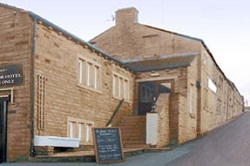 A very good restaurant in an attractive and welcoming pub near one of North Yorkshire's fine market towns. The owners have enjoyed a holiday with us. Seven rooms. 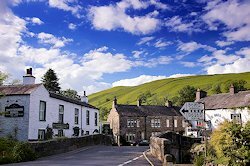 A lively pub in a charming Dales village, with comfortable rooms, views of hills and river, and the best steak we've ever had. Next to the staggeringly popular Anchor Inn at Gargrave, with Brewers Fayre restaurant. Village pub serving Yorkshire Beers, Yorkshire Food, locally sourced (where possible) and 'good honest Yorkshire hospitality'. Three en suite rooms, with full English breakfast. have searchable lists of all the tourist-board assessed places to stay in the area - and lots of other information.